Today when trying to get into my garage my 2016 cx5 and had the hardest time. The rear tires were not turning just the front. So the front tires were just spinning. There was a ton of ice and snow on the front of my car could this impact some of the senors that are supposed to help the car decide to go into awd? I was so disappointed and now I’m scared of the cars performance in snow. I have a 2016 and have never had a problem in the snow. If you use the parking brakes it's possible they froze. Have the dealer look at the car and see if anything needs repair. By the way, your vehicle is always in AWD, I have found it helpful to turn off the traction control in some situations, it can actually work against you trying to get moving in slippery conditions. If the system is working correctly you should have at least spun one of the rear wheels - it may be the front and rear differential are open design so one wheel may spin at each axle. The way it is supposed to work: if you have zero traction in the front up to 50% of engine power is forced the the rear axle. Is it possible that you had one wheel at each axle spinning?. - AWD systems are front or rear biased meaning the front or rear gets most of the engine power under normal circumstances. Check out the link: It will help to turn off traction control to get up that super slippery driveway. This is the first time I read about "turning off traction control" trick. Good to know, will check it out during the next snow. 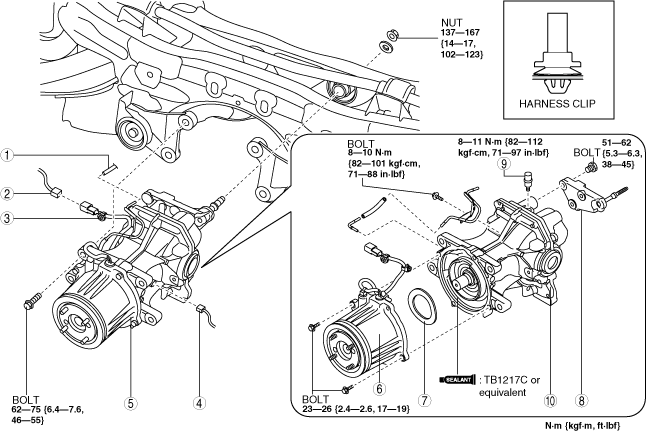 FYI Mazda's AWD system is 100% FWD until it sense front wheel slip, it then energises a clutch on the rear diff engaging drive to the rear diff & rear wheels. I stand corrected on my assumption, interesting. The system is always AWD and tries to predict when the rear axle is needed- so you don’t really know how much power is going to the rear. The nice thing is that with an electric controlled clutch some power is guaranteed to be sent to the rear when it is needed. A small trick that can be very useful from time to time: if you find yourself stuck in icy conditions and you have a manual parking brake, pull the brake 1 click. Just to engage the brake a little. This will stop the wheel that has no traction at all and it will act as a limited slip diff. If you have an electric parking brake, you can try the same with the brake pedal, but on a manual car this is very tricky. On my 2012 CX-5 this has saved me already a couple of times, especially when trying to move on an uphill intersection.